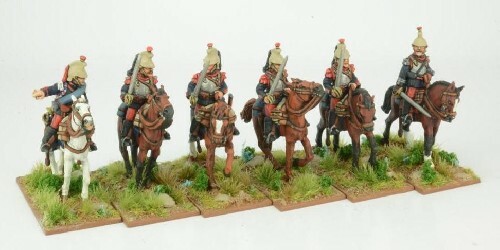 2 mounted figures per pack. The figures come with seperate arms and weapons so some gluing is required. The sword scabbard has the sword in it, you will need to clip the sword hilt away on the figures where the figure is carrying the sword. Great War Miniatures are 28mm sized, made of metal and supplied unpainted. They are unsuitable for children under 14 years of age.